CupFone™ is a mobile phone holder that sits conveniently in any vehicle’s cup-holder. Fully adjustable tilt and rotation allows you to easily see your favorite app like Navigation or Waze when on the road. Makes hands free voice commands easy to use along with hands free telephone calls. Allows you to leave your phone plugged in while it is in the holder and you can effortlessly, and with one hand, remove your phone from the holder or replace it without ever having to disconnect your charging cord. Fits mobile devices that measure between 2 3/8" wide to 3 3/8" wide and 9/16" deep! If you're tired of your mobile phone flying off your dash or console buy yourself a "CupPhone". It's simple to adjust the size to match your cars cup holder and it's simple to fit and adjust your phone to the CupPhone. I use it mainly while I'm driving and using Google Map. I can easily adjust the angle to view the screen before I start driving, Well Worth the money. This is well worth the money. Buy it! I’ve tried so many phone holders and this resizeable, sturdy, solid phone holder is the bomb! It fits my phone (iPhone7+) with the Mophie charging case. The multiple, cup-in-a-cup sizing is perfect and fits my cup holder perfectly (2016 BMW 5 series). This is well worth the money. Buy it! Bought the phone cup holder back in December and my wife thought I was crazy. Well it turns out that she uses it more than i do. Love it makes life alot easier when you phone is not falling to the floor of your car when you make a sharp turn. Going to purchase another one this week for my truck. Name: Patrick J. Saccoia Jr.
I’ve tried lots of cell phone holders for my car and the Weather Tech CupFone holder is the best. It was easy to customize to the right size for my car. It holds my iPhone at the perfect height. It doesn’t block any of my controls. There’s easy access to the charging port. And I don’t have to stick anything to my dash or block my air vents. Thanks so much WeatherTech! I really enjoy this cup phone holster. Its unique. I bought several for xmas gifts and they loved it. Holds my iPhone even with a case! It has been a very useful accessory in my truck. It holds my iPhone even with a Otter case which is pretty thick. It fits great in the cup holder and no problem attaching the charging cord to the phone while in the CupFone. Received a CupFone as a Christmas gift and I love it. Keeps my phone from sliding all over my Jeep and keeps it safe from scratches. Great idea! The CupFone phone holder is the best thing that I bought for my car. No more phone sliding all over the place. After wasting money on all sorts of gizmos I finally have something that is stable and easy to install. 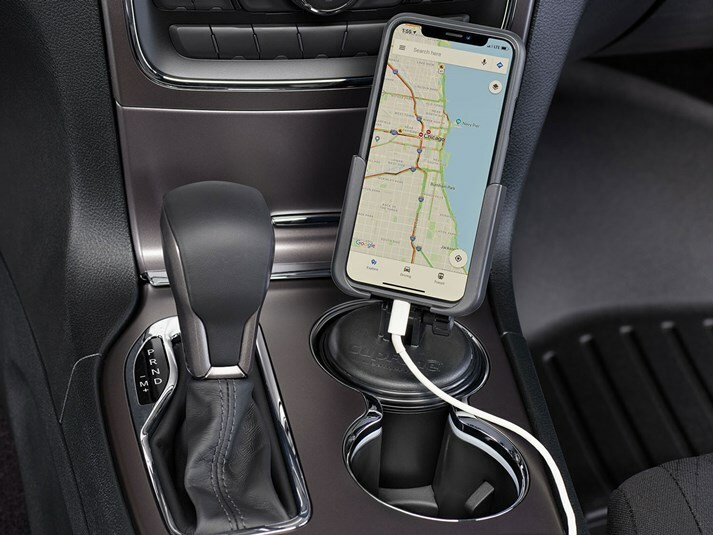 Now I can use my phone as directions or can glance down to see who is calling without dropping the phone between the seats or on the floor or balancing it on my leg or on the dash. Thank you for a great idea that is adjustable and sensible. Anyone who loves and drives a Mini (mine's a 2 door hardtop) knows space is at a minimum. My husband bought me the CupFone after my repeated complaints about my phone charger cord not fitting well with my phone into my cup holder. This led me to let my phone slide, tethered by the cord, all over the passenger seat when I was traveling. I honestly didn't think the CupFone would work well in my Mini, and I'll admit the space is a little tight against the front toggle switches BUT a vast improvement over any other adapter/holder I have tried. Well done, Weathertech!